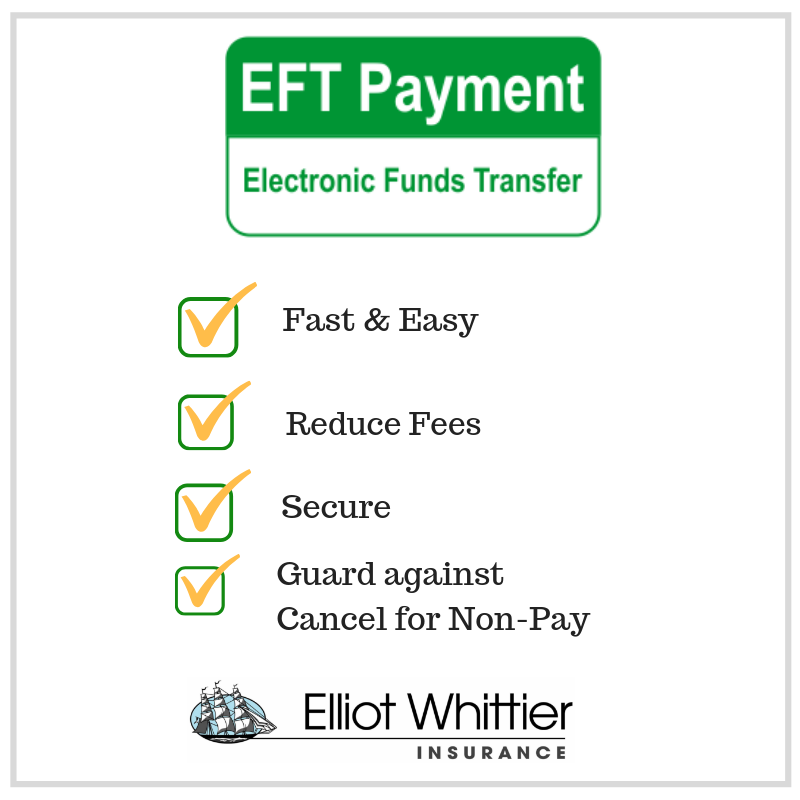 There are so many reasons to pay your Personal Lines Insurance bill automatically via EFT. Below is a list of many of our personal lines carriers with a link to download EFT forms for that insurance carrier. Simply print out the appropriate form and email it back to us at info@elliotwhittier.com or you can contact your account representative by phone at 617-846-5000 if you have any questions.